Daniel Sanchez-Behar represents clients in a variety of litigation matters in state and federal trial and appellate courts, with an emphasis in the defense of law firms and lawyers in professional liability matters. He also advises financial institutions, mortgage lenders and servicers on a wide range of mortgage-related litigation matters, including allegations of negligence, fraud and violations of state and federal consumer protection statutes. 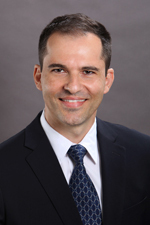 Daniel is a member of Hinshaw's Consumer Financial Services Practice Group. He is also a part of the firm's Hispanic/Latino Affinity Network. During law school, Daniel clerked for the Honorable A. James Robertson II, of the Superior Court of California in San Francisco and competed in the ABA National Appellate Advocacy Competition. Daniel Sanchez-Behar Named to Lawyers of Color's "Hot List"